The designer of this teddy bear is not accepting orders at this time due to high demand. As soon as she gets caught up, she'll be accepting orders again. In the meantime, I am looking for other quality bears for you - please be patient! 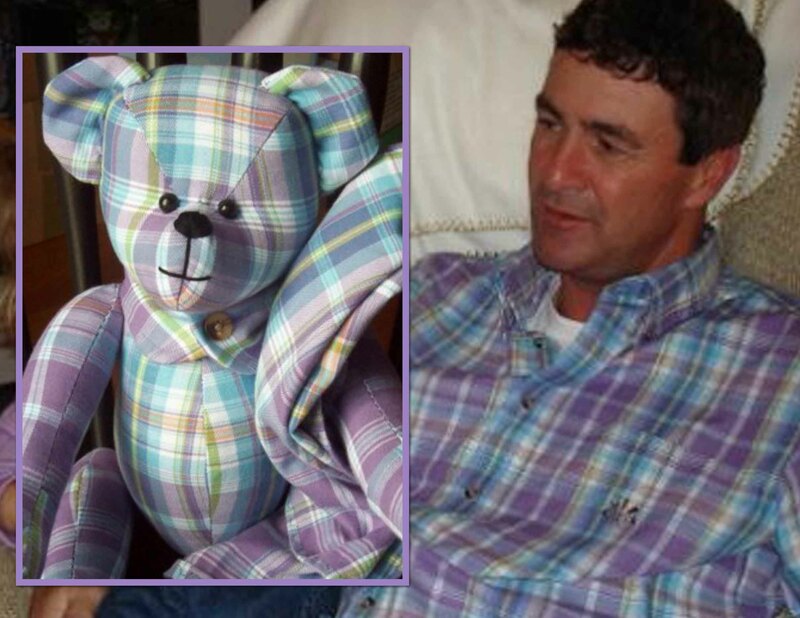 Truly unique and wonderful gift idea - a memorial bear gift kit! These adorable little bears are so special and feature your loved one's favorite clothing. 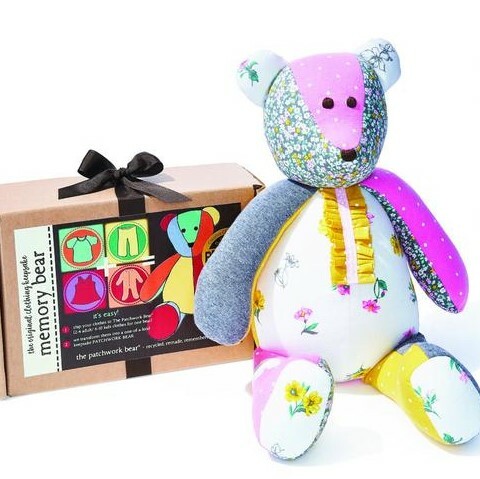 This is a "must" memorial teddy bear gift for a young girl or boy to give them comfort after loss. This is a very popular gift idea to send to someone who is grieving - it will provide the comfort that you wish you could give. What a wonderful idea and a way to store a loved one's ashes until the child grows up and is responsible for this precious keepsake.